Alfonso 'Sito’ Alonso will be the head coach of FC Barcelona Lassa for the next two seasons, the Club announced on Friday. The deal, which runs until 2019, also includes an option for a third season. 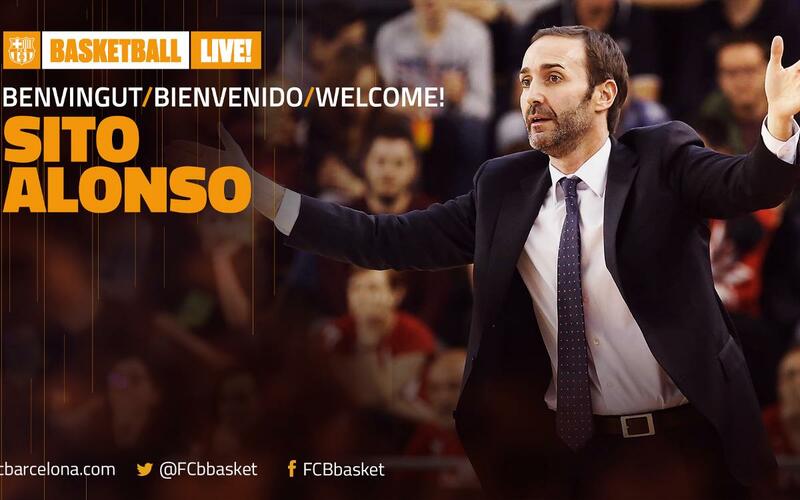 The 41-year-old Alonso comes to Barça from the Vitoria, Spain-based Baskonia, which he coached this past season. Sito Alonso has extensive experience in the Liga Endesa, Spain’s top flight, where he made his coaching debut in 2008 with Joventut, based in Badalona. In 2011, he moved on to San Sebastián Gipuzkoa Basketball Club, where he spent three more seasons, until 2014. Alonso then coached Bilbao Basket for two seasons (2014-16) before signing with Baskonia last summer. This past season, Alonso coached Baskonia to the Euroleague playoffs, and the semifinals of both the Copa del Rey and the Liga Endesa. In 2012, Alonso was named the Liga Endesa’s Coach of the Year after guiding Gipuzkoa to a fifth-place finish in the league’s regular season.